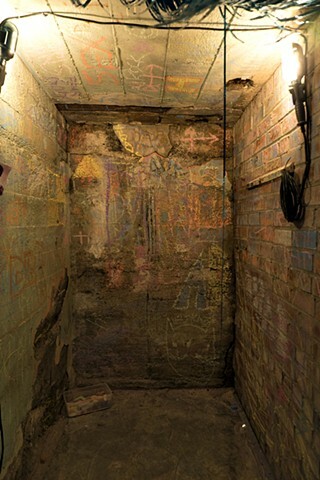 “Cave” is an interactive installation that invites viewers to travel down a shimmering corridor without the idea of what they will find on the other side. 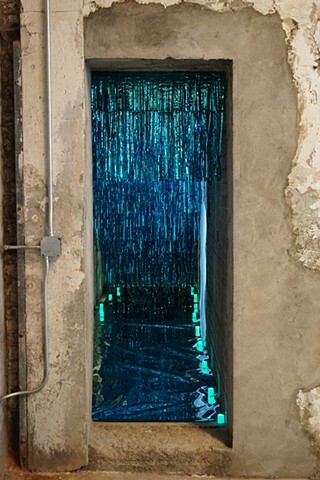 As viewers follow the path, layers of aquamarine tinsel curtains get longer and denser, disorienting its visitor. 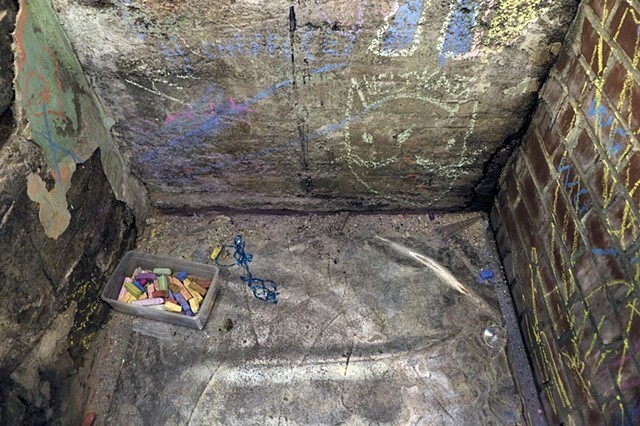 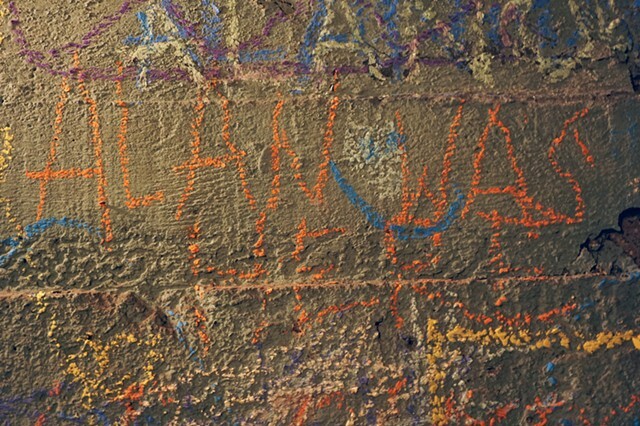 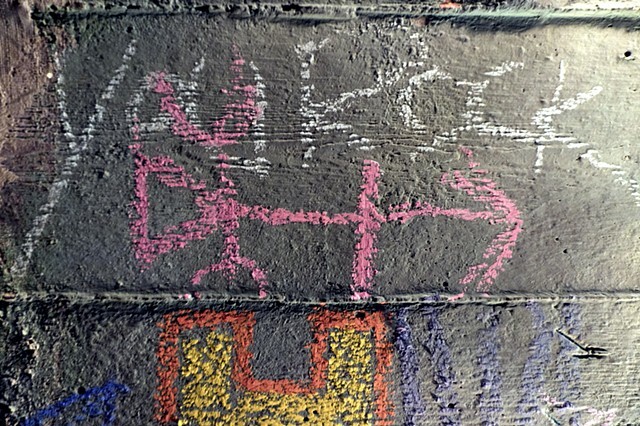 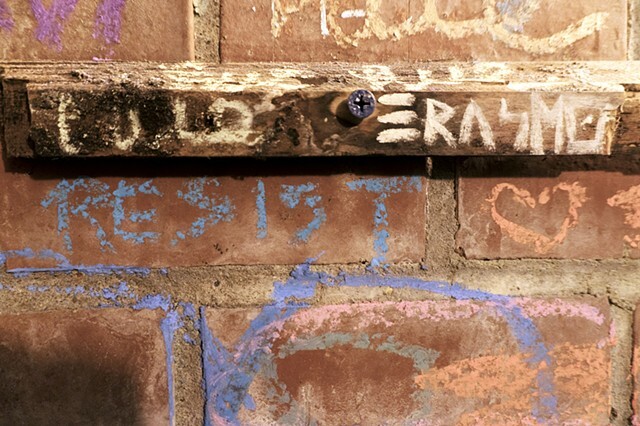 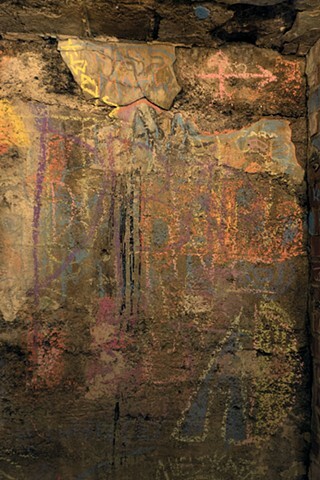 At the end of this piece, viewers find a brightly lit, concrete dead end where they are invited to interact with the piece by “leaving their mark” in chalk directly on the wall of the installation. 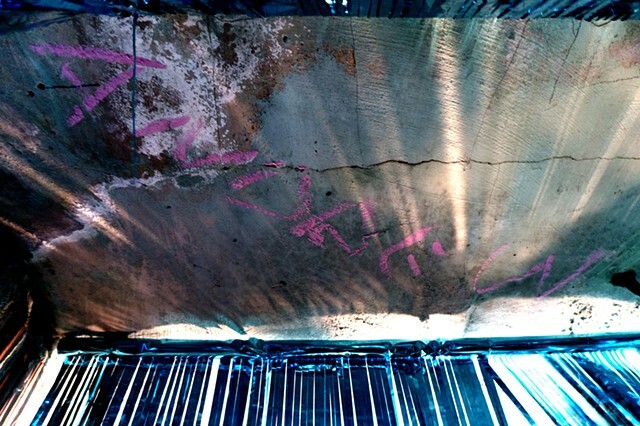 This interaction transforms this installation into a constantly changing and expanding performance.